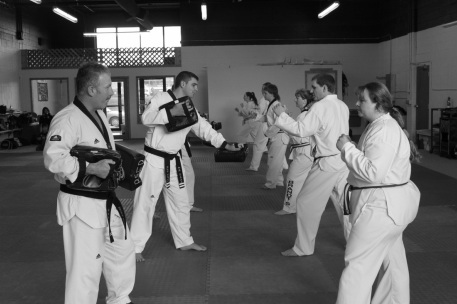 Evolution Tae Kwon Do aims to strengthen both the physical and the mental well-being. This class helps reduce stress and increases self-confidence, flexibility, balance, weight loss, and overall health. Its balance of hard work and discipline, along with the rewards of personal achievement, it develops confident, well-balanced individuals. Different people join for different reasons, but what they find is all the same. It acts as a good vent for children, a stress-reliever for adults, improves concentration and enhances both physical fitness and self-confidence for all students.